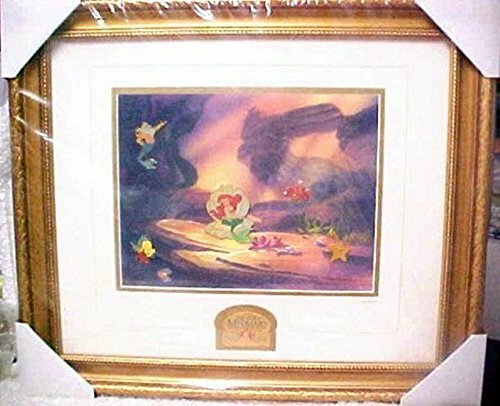 Disney Galleries 10th Anniversary Little Mermaid Framed Pin Set #104/1989 Rare by Disney at Blood of The Young. Hurry! Limited time offer. Offer valid only while supplies last. Limited edition size 1989. This one is #104! Mint in original box. Beautiful frame. Mounted on a lithograph depicting the Little Mermaids beauty. Limited edition size 1989. This one is #104! Mounted on a lithograph depicting the Little Mermaids beauty. Certificate of Authenticity. Gallery Exclusive.